In late September, Apple released the next update to its extremely popular operating system, iOS 11. Like most operating system updates it includes the normal performance improvements, security patches or bug fixes you’d expect. This time through, Apple also introduced Intelligent Tracking Protection in its Safari browser, and major players in the ad industry are particularly concerned about how this could play out in the future. That’s because “Intelligent Tracking Protection” sets a limit on how long certain cookies — the ones usually used to track users for advertising and ad targeting — can exist in the browser before they are automatically deleted. Apple has (seemingly) been a leader in fighting for consumer privacy when it comes to the development of its products, as we’ve seen in the past with its implementation of Differential Privacy in iOS 10, as well as its refusal to assist the FBI in accessing the phone of Syed Farook, the man responsible for the mass shooting in San Bernadino, California in December 2015. With the introduction of iOS 11, Apple has added a 24-hour tracking limit on ad targeting cookies, which is not sitting well with advertisers, unsurprisingly. While this impacts many third-party tracking systems, advertisers like Google and Facebook will likely not see much of an effect, due to the fact that a large majority people are visiting Google and Facebook on a daily basis, and most of those people stay logged in to those services whenever they’re online. The largest issue that marketing companies are facing with the new 24-hour tracking limit is the loss of ‘attribution data’ when users take particular action on a website outside of the new 24-hour window. For example, if a user clicks on an ad to learn about a new product on Monday, but doesn’t purchase the product until Thursday, advertisers cannot attribute that sale to the ad that the user clicked, because it fell outside the 24-hour window. After the announcement of the introduction of the 24-hour window, six different major advertising trade associations came together to issue an open letter to Apple expressing their concerns. 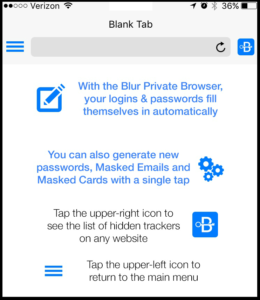 If you already use the Blur mobile app for iOS, you likely already know about the Blur Private Browser built into the Blur mobile iOS app. The Blur Private Browser for iOS is already capable of blocking third-party trackers (just like the desktop version of Blur! ), and it even auto-fills your stored Blur logins and passwords when you’re visiting your favorite mobile sites. 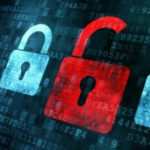 The advantage of directly blocking the trackers is that it can both prevent cookies from being placed in your browser as well as block the other signals that ad-profiling companies rely on in cases where their cookies have been blocked or deleted. Get Blur for iOS. Get Blur for Safari. While there are a number of major players in the advertising industry that are expressing deep concern urging Apple to reconsider its new feature, Apple has no reason to back down due to its long-standing power and brand loyalty among the tech. industry and its consumers. While Safari only accounts for about 4% of desktop traffic, Safari accounts for about 29% of all mobile and tablet traffic on the internet, and advertisers are now beginning to question whether or not to even target iOS users as not to waste money on untraceable users. Apple continues to impress privacy advocates as they recurrently show that they hold their user’s privacy as a top priority.